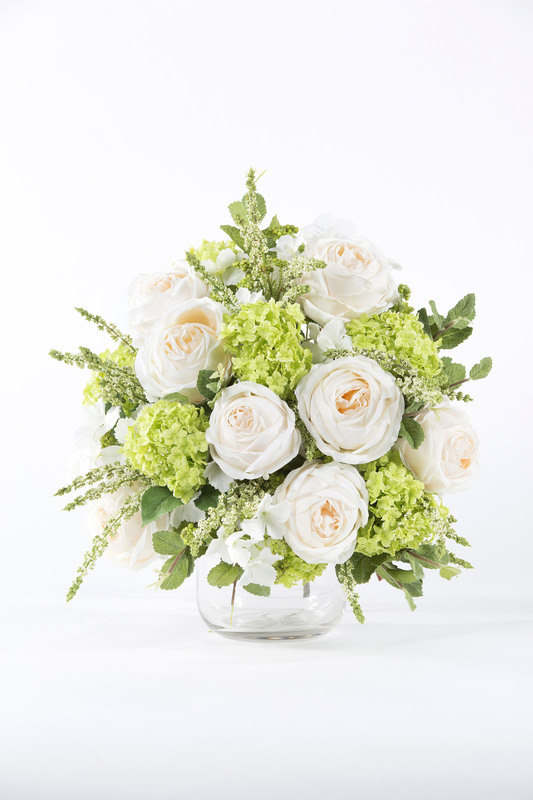 Delicate looking butterfly hydrangea stems with separate silk petals gives this arrangement a flowing movement which works beautifully when placed within the dome shaped hydrangeas. 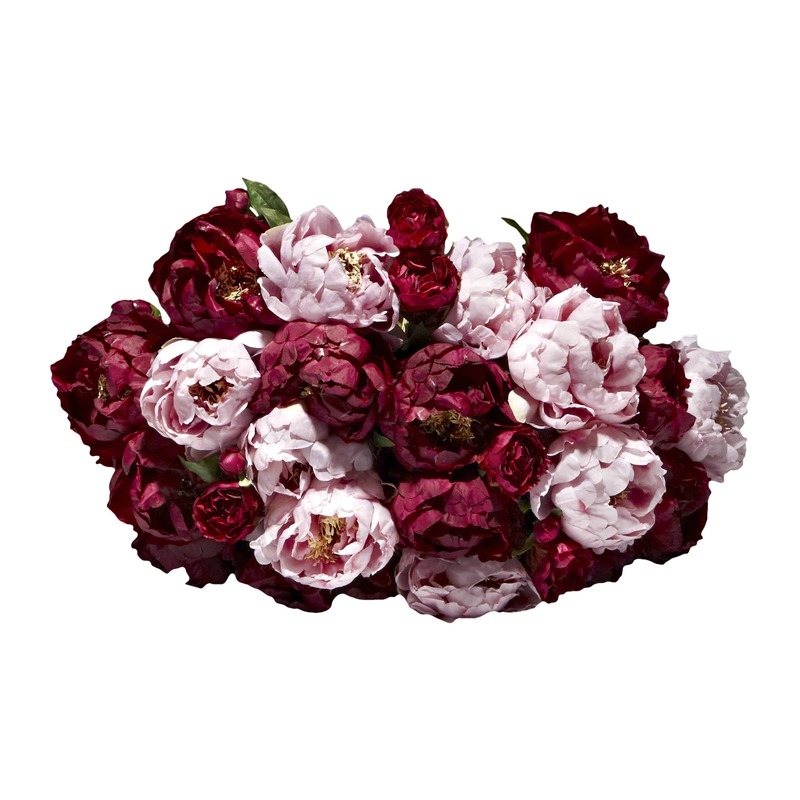 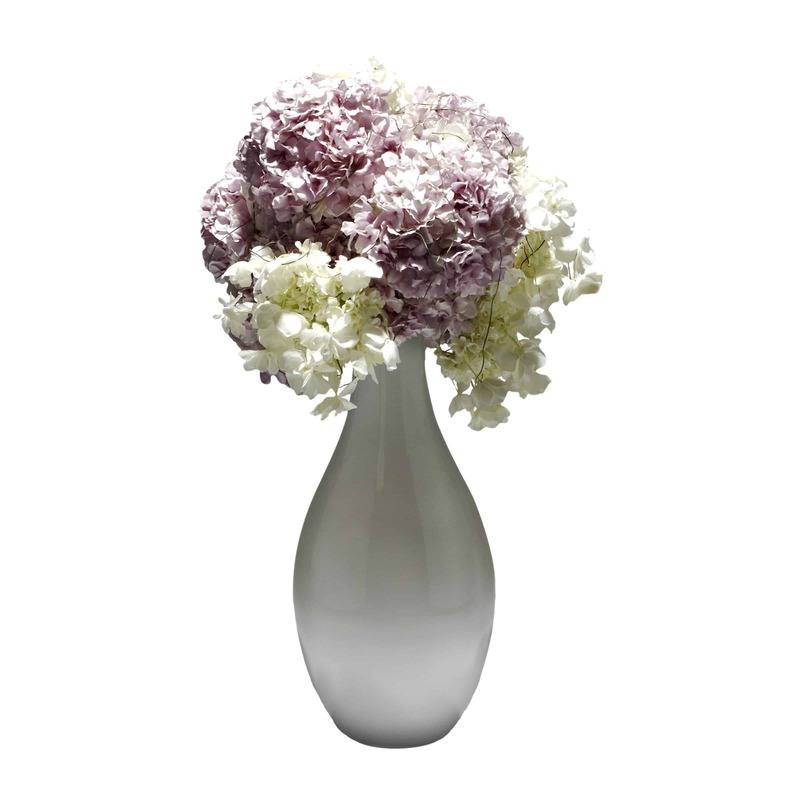 The hydrangea size and shape makes it a dominate flower in any arrangement we feel they make a statement in a multi hydrangea stem display which gives a larger than life effect. 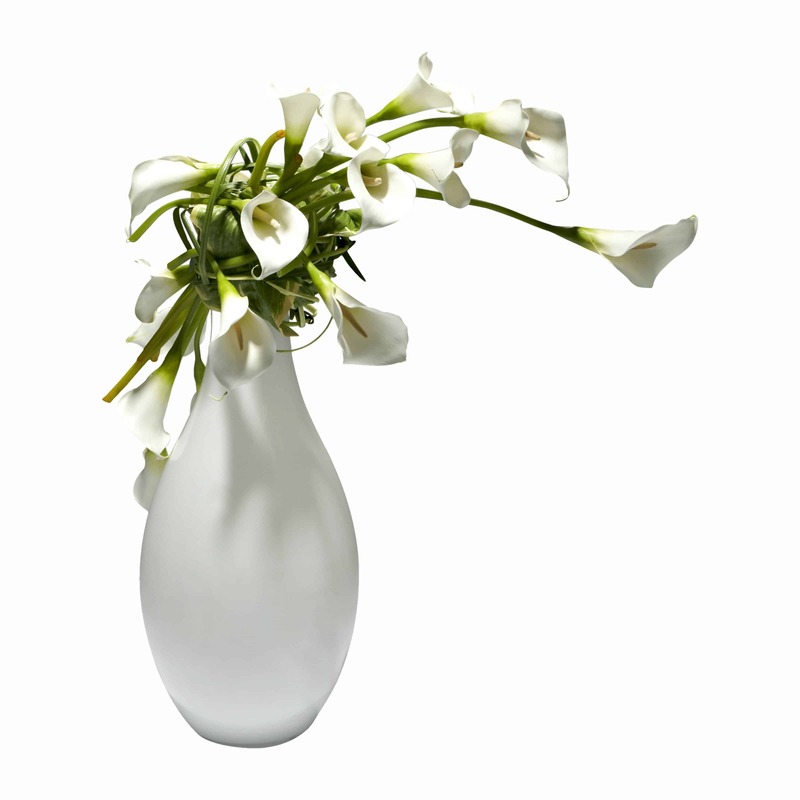 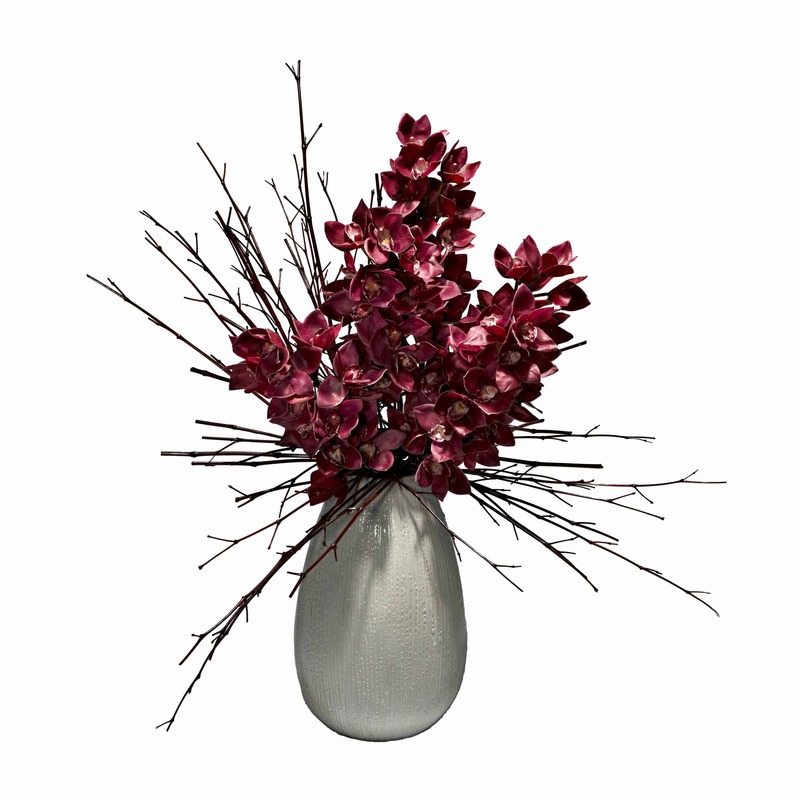 Designed in a elegant white glass bottle vase, this long lasting arrangement is perfectly placed anywhere.